Some of the things I miss most from back home are holidays like Christmas, Thanksgiving, and Halloween. They’re just really aren’t any alternatives for those kind of things while living overseas. Yes there are holidays here and in other countries, it just isn’t the same. Long time traditions and holidays tend to become less important and even disregarded as time goes on. I remember looking at the calendar on my phone thinking, “is it really Thanksgiving today?” Even as we get accustomed to local traditions and make families of our own, we tend to neglect the things that we used to do and the traditions we enjoyed when we were younger. I will never forget opening up Christmas presents and letting my dogs shred the wrapping paper allover the living room floor, not to the chagrin but rather the delight of both my parents. Maintaining those traditions isn’t immediately obvious to new arrivals or even long-term expats and the lack of options can be disheartening at times. If I am to be completely honest I don’t love living in Korea but it does afford me opportunities to meet people from other places I wouldn’t ordinarily meet back home. It also allows the family and me to visit places that again I wouldn’t be able to stateside. But when it comes to Halloween, the expat community and Chopsticks Wide go all out to ensure that kids and even the parents have an authentic carving, dressing up, and trick-or-treat experience; and when 100 or so kids and their parents meet downtown and parade down the street, people are certain to take notice. Not surprisingly, we found the shop-owners and restaurateurs to be more than willing to help accommodate trick-or-treaters. Patrons of restaurants were filled with joy upon seeing the children dressed in a variety of costumes and could be heard asking the owners to give the children money instead of candy. The candy wasn’t always the highest of quality and there are still a few kinks to work out as far as location and traffic are concerned but as a participant of this year’s Halloween Festival, we can expect great things for future trick-or-treaters. Read her story and be inspired. Her parents moved to Denver after growing up in Texas during segregation in the early 1970s, finding professional opportunities there. She grew up in an up-and-coming predominantly Black community filled with individuals who were always “the first.” Examples include being neighbors with the first Black fire chief and the first Black president of the school board. “There was success happening all around me, so I knew nothing different.” Because Denver was a smaller city, people were interconnected and willing to share opportunities if asked. Denver was magical for her. From a young age she had always aspired to pursue opportunities in what many would consider non-traditional jobs. In 8th grade she contemplated becoming a radio disc jockey, contacting the only urban radio station at that time, and within a week she was working at the station because the owner knew her dad. Then at age 15 she landed her first paying job as a summer camp counselor with the first iteration of YoungAmeritowne (Young Americans Bank). Later on, she was invited to sit on the Youth Advisory Board simply by writing a letter stating how important the bank had been to her. “I never thought that my age should prohibit me from pursuing entry into the industries I was interested”. By high school, her focus had changed to one day becoming the commissioner of the NBA which meant getting a job with the Denver Nuggets. She contacted the organization to find out how to become one of the kids she had seen helping out before the games, not noticing that there were no girls. They denied her first request but instead of giving up, she asked her dad to purchase season tickets accompanying him when they picked out their seats. She made a plea with an account executive about the ball kid program which was luckily for her, a function of the sales department. The very next season she was invited to join as one of the first girls in the program. “As a ball girl I was able to interact with key executives within the organization and to get advice on where to go to college and what degrees I should pursue.” She remained employed with the Nuggets during the summers initially as an intern, and then later as a sales associate. 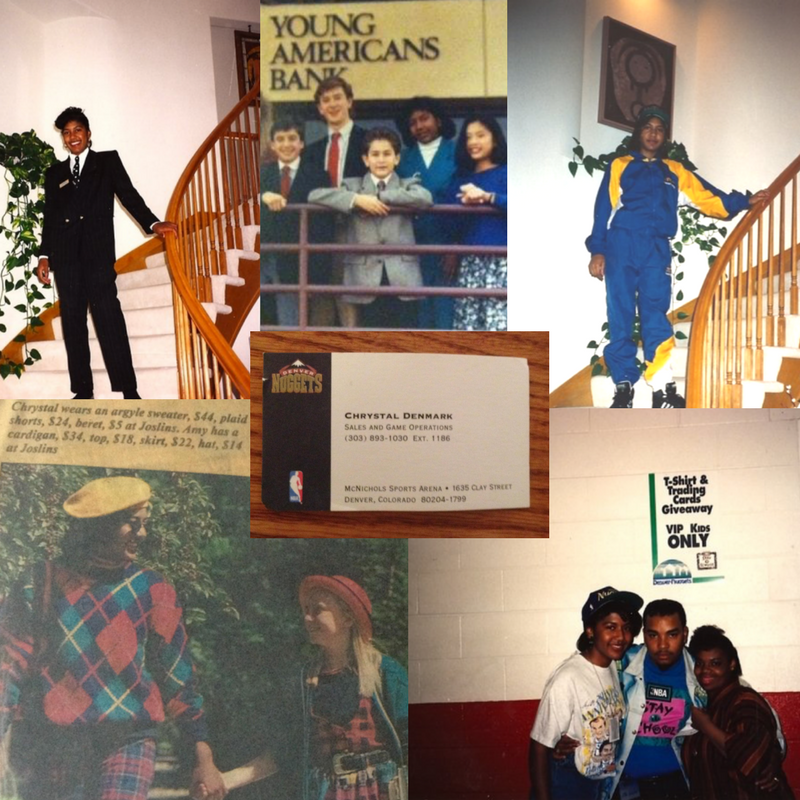 (Clockwise from top left) Chrystal as member of Young Americans Bank, Nuggets Ball Girl, with DJ from MC Lyte, as Joslin’s clothing model and Denver Nuggets business card (center). Two BAs and a Masters in four years! As part of her masters, she was required to complete an internship and made her way to New York to get a job in the league office. She accepted an internship with the Women’s Sports Foundation in the inaugural season of the WNBA and after building credibility within the foundation, she landed an interview with the WNBA and was offered a position. This seemed to be the life that Porter wanted, but she knew that would mean giving up relationships, family and spending every moment in the aspiration of eventually becoming the commissioner. She trusted her intuition and declined the offer. Because so much of her life had been working up to that moment, she had no idea what to do next and had to re-evaluate what her future would entail. She had been moving in a steady career direction in sports up to that point which led her to seek out working with people who had similar aspirations. This meant returning to school to earn her doctorate, teach sport management, and become director of a sport management program. Specialist in Education (Ed.S) and Ph.D. Despite having her Specialist in Education (Ed.S) degree, her original goal was to earn a doctorate. Returning to school, she was less sure of herself within this new narrative and her commitment level was not as strong . The doctoral process was so rigorous that she felt extremely stressed, depressed, and uncertain of when to engage in program politics. 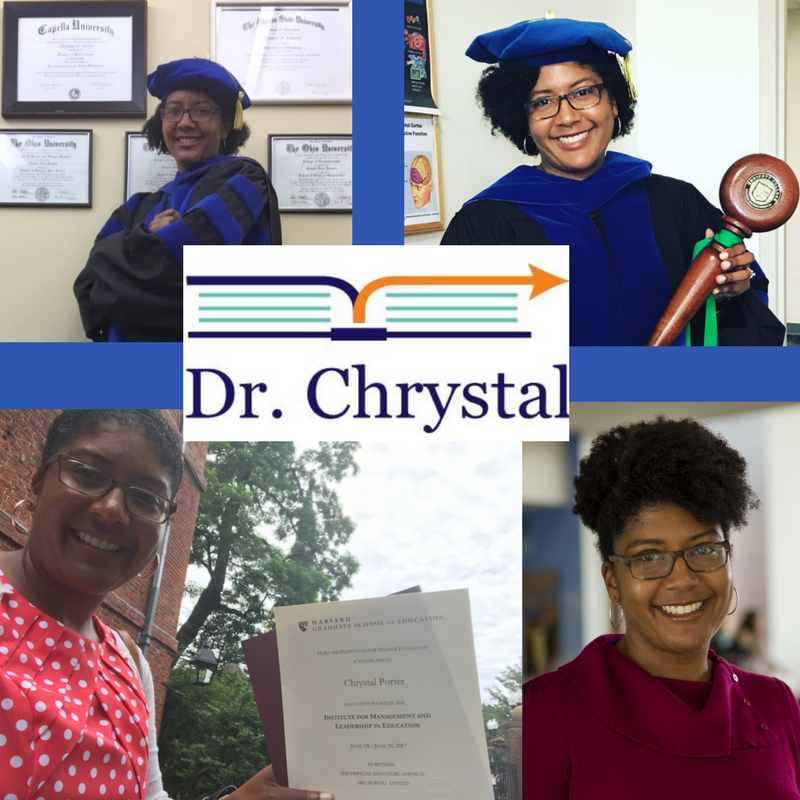 After completing her doctoral coursework, she made it to the first of three defenses required to complete the doctorate when her committee informed her they would like her to start her research over. Devastated and humiliated, she believed the institution had done her a disservice letting her get so far without any warnings. She decided against restarting and instead submitted her work to an external journal with blind reviewers who accepted it for their publication. Although she had to give up the Ph.D. they took her work and gave her an Ed.S. “My desire to earn that Ph.D. never waned for the few years following that experience. 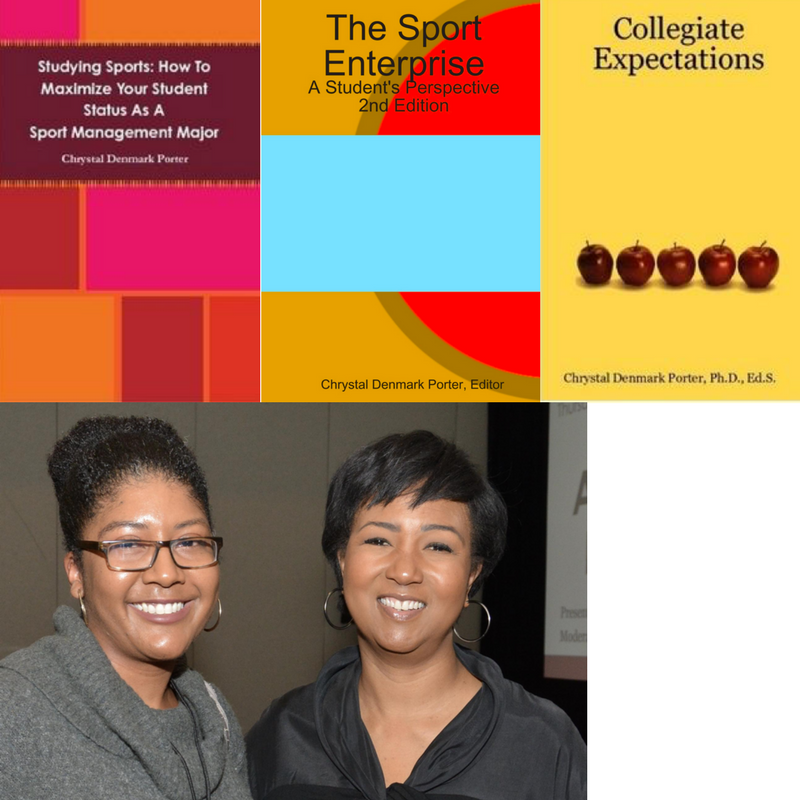 I eventually returned to school seeing the whole process through the second time around.” She earned her Ph.D. in Post-secondary and Adult Education and has since been teaching sport management at a variety of institutions and was chair of a program that had over 250 students. In her current role as Associate Vice President at a college in New England, she oversees 81 academic programs, including an up-and-coming graduate program that focuses on athletic administration. 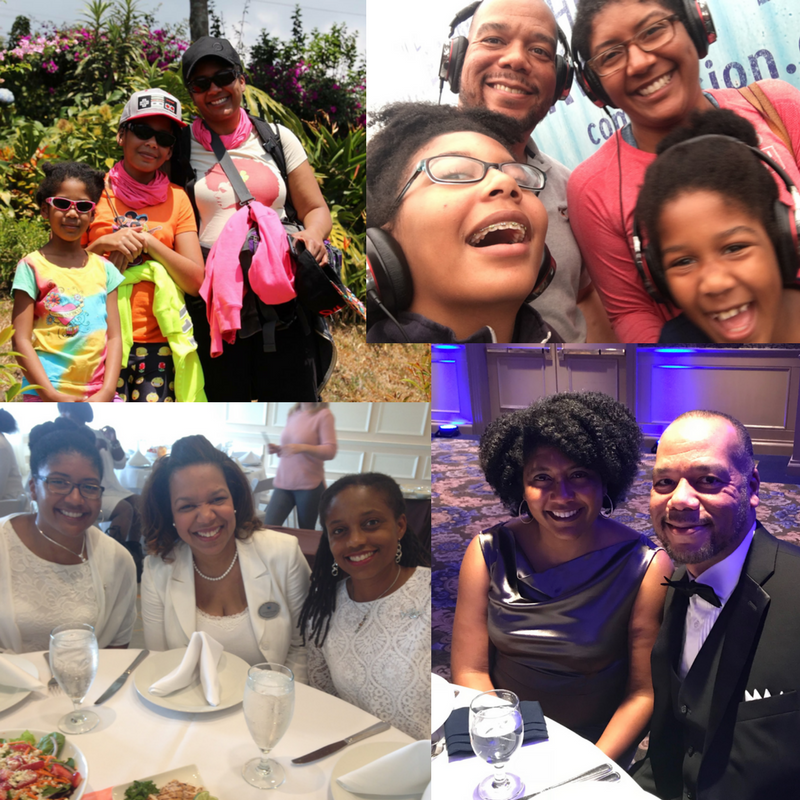 (Clockwise from top left) Dr. Porter with five degrees, as Grand Marshal for the 2017 Endicott graduation, official Endicott photo, Harvard 2017 MLE participant and her brand (center). When met with frustration or adverse circumstances she looks at her ring engraved with “90-Seconds,” which is meant to remind her of a Tony Robbins saying in that it is okay to be upset, mad, defeated…but to let it go after 90 seconds. So as best as possible, after 90 seconds she begins reminding herself to recalibrate. In that same vein, she puts physical and mental health first knowing that she cannot be her best for others if is not at her own best. She works out 4-5 times a week and meets with counselors and career and life coaches to work out current situations, or establish workable plans for future aspirations. Every decision at this point somehow relates to her children and insists that she would not ask them to do anything more than what she has done or still does. Thank you again for tuning in. Come back soon for my next guest on Professional African American Women! Project Management is a career that is as undefined as Instructional Design and yet does not require “quite” the same technical proficiency. 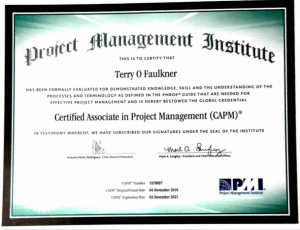 It is defined by PMI (the leading authority on Project Management) as “…the application of knowledge, skills, tools, and techniques to project activities to meet the project requirements…” It is a great place to start for anyone who is looking for a career that calls upon many of the classroom managerial skills needed to be a teacher. Just about every industry has a person or a team who manages their projects. Because there are so many kinds of projects and managers, it should be quite simple to find a niche for your particular skill set. See more here about skill sets that we expatriates have and should use when applying for jobs outside the EFL arena. So what do Project Managers do? Depending on the industry and company, your job could range from writing, design, engineering, IT or many others. Many of the things we do as teachers will be similar to what is required of you as a project manager. Managing HR, scheduling, time constraints, and communicating with stakeholders are just a few of the things you might be doing as a PM. Projects could include clients with unique problems requiring custom solutions, launching a website or even overseeing construction on a house or a building. All of these projects require capable project managers to deliver on time and within a budget. Project managers also need to be effective communicators; you will probably be interacting with everyone involved in a particular project. You’ll need a good sense of customer service if you are liaising between clients and companies. Nobody is born a project manager as they come from an array of backgrounds, making this a great fit for former teachers. If you are curious about transitioning out of ESL/EFL into project management or other careers please take a look below. In the summer of 2016, I completed a MOOC based in Australia designed to help teachers, facilitators and/or educators to reach out and help their adult learners. There were a lot of good activities, I should be able to use some myself. One idea was the “Values Line” where students were asked to make a value judgement about a controversial topic. They would then line up on a number scale somewhere between one and ten (or whatever number set chosen) after which the class would be split in half. People on side one are then paired with people on the other (with differing opinions). In pairs, each person is given a minute (or two) to explain their reason(s) for agreement or disagreement on the subject. This activity promotes active listening and doesn’t suggest persuading one’s partner, rather understanding her/his reasons for supporting or disagreeing with the topic of controversy. This also a great way to build camaraderie among classmates and I plan to use this next semester for use as an icebreaker. I have two things worth mentioning and one is that because education is changing so quickly, students ultimately expect more from their classes and teachers. So much of the content is now available online and there weren’t any strategies for use in blended learning and/or flipped classrooms. While the activities presented may work well in a face to face envioronment, I felt that the online portion of courses was desperately needed here (especially since this was an online course to begin with). Secondly, one of my pet peeves Howard Gardner’s “Multiple Intelliegences” theory was once again used to try to determine the best ways that students learn. This theory has been branded by some as “pseudoscience” or “junk science”. Waterhouse and Lynn (2006a) go so far to say that “there is little empirical evidence to support MI” and that “cognitive neuroscience research does not support the theory of multiple intelligences”. Those two complaints being aired, I still feel the course was worth the time invested and suggest taking it if you have a few extra hours per week and want some new ideas for your classroon. Waterhouse, Lynn (Fall 2006a). “Multiple Intelligences, the Mozart Effect, and Emotional Intelligence: A critical review”. Educational Psychologist. 41 (4): 207–225. Recently, I have been engaging in more and more online courses. One of the many reasons for participating in MOOCs and other courses is that I have a voracious appetite for learning new things. These learning experiences help me to design courses that others (and myself) might enjoy. That is not to say that I am an easy learner. I am critical when I see something I don’t like and if something doesn’t quite work, I will certainly get in touch with those hosting the course. I know what I like but that doesn’t not mean I won’t try new things or approaches. I’ve lived outside my own comfort zone (China and South Korea) for about a quarter of my life now so trying new things really is an old hat. The point is that I have found a course, or should I say constantly evolving online program that I believe will help me to navigate my way back to Denver with valuable skills into a career I love. Since this blog is almost entirely about the transition from ESL/EFL teacher to instructional designer, I’ll tell you more about it. Its mission is to help designers like myself stay ahead of the educational curve and discover patterns (to be defined later) that will solve myriad problems educators often face in both in the technical realm and in the (virtual/real) classroom. The classroom landscape is changing (for the better) as information is available at our fingertips anytime we decide to pick up a mobile phone, iPad or sit down at a computer. This is going to leave the classrooms of yesterday empty and without purpose. As such, we need to be ready to face the ever-evolving learning landscape and embrace the new possibilites the internet and eLearning afford us teachers, designers and learners. Maybe you think of yourself as an ‘instructional designer’ and you have a vision in your head of what your career path might look like. After considering just how big this online education shakeup is going to be… think of some ‘alternative’ career paths and opportunities available to those with the skills to build effective online learning environments. Imagine you are a sought-after expert in the field of online learning. You’ve got so much prestige and ability that you can really pick and choose which opportunities you pursue. So what does your DREAM career look like? Ideally I see myself as a designer for a firm/company/university/NGO that I am deeply passionate about. I am a fan of Paulo Freire and Critical Pedagogy, and to be able to educate those unable to afford it or without access would be pretty sweet. Ever since college I have dreamt of teaching English for a couple years in the Peace Corps in Western Africa (Senegal, Cote D’Ivoire or Guinea preferably). I may realize that dream but probably not until my kids are college aged and self-sufficient. That does it for this post. My next post will either be about the next #Skillagents or about the second step of the I-130 visa process. Thanks for reading! One of the hardest parts of getting back stateside is getting the Spousal Visa (green card). The first thing you’ll need to do is make an appointment with U.S. Citizenship and Immigration Services. This branch of government can be found in the embassy but the appointment is not made through the embassy website. Instead, you’ll have to make an appointment at the (USCIS) website. From here you’ll have to choose which field office (International vs domestic) depending upon whichever country you reside. I live in Korea so this list will only apply to those petitioning in Korea. 2. Fee $420 (cash only or 600,000 KRW) no credit cards accepted by USCIS. 7. Copy of Residency permit/ARC card (with original to verify. 8. Spouse’s Korean “birth certificate” (기본 증명서 English translation, and certificate of translation). Print and sign the US-Visa certificates of translation which verify that either you or your spouse are fluent enough in both English and Korean to translate the three Korean documents required for the visa application. Be sure to erase the footnotes and the sections that are written in Korean. Translate all 3 and bring them with you as it’s better to have what you don’t need than to need want you don’t have. I will be writing the next post concerning the visa interview and the documents necessary for that interview. It’s a lot more complicated than the initial I-130 but I’ll be sure to include everything you need to ace it. Thanks for reading and thanks to Shawn Roe for much of the information here. The Blendkit2016 course is complete and I earned my Blended Learning Designer Badge from UCF/Educause. This badge brings me one step closer to realizing my dream of becoming a full-time instructional designer in Denver, Colorado. Congrats to my colleague Martin who is also aiming in a similar direction. We are both now ready to tackle the “Yeungnam University Foreign Language Institute Handbook for Faculty” which we will transform into an online training program for new hires at our university. Our next step is to determine whether or not the eLearning department here will allow us to use their authoring software and if not, how much we will need to spend to create the course. Most of you (OK all three of you) know that I am a Colorado native and that I’ve been longing to get back to Colorado for a few years now. South Korea has been my home for over a decade and it’s time to the bring the family back and begin the next chapter of our lives. Korea has been great. I met my wife here, have two amazing children and have had so many wonderful career, travel and culinary opportunities I don’t even know where to begin. Were it not for Korea, coming back to Denver and being able to afford it would be out of the question. Although I have thrived here, it’s time for the four of us to experience a place that is better suited and healthier for all of us. Snowboarding is something I’ve dreamt of sharing with my family and because we’ll be so close to the mountains, I’ll finally be able to take Soonim, Helen and Colin up to Loveland and teach them all to snowboard. There are mountains here but getting to them requires at least a three hour bus ride, language issues with rentals and tickets and the hills are ice, not snow. Snowshoeing, ice skating, cycling, swimming, and camping are other things that I would like to share but have not been able to as easily here. Music is something else I have put on hold here because there just aren’t any places where I feel comfortable enough to commit to a band and although there are good musicians here, I don’t feel as connected to them as I did my fellow musicians back home. No place is perfect and Colorado is no Scandinavia but there are more opportunities professional and otherwise than in South Korea. The school kids in South Korea are stressed out, having the highest student-suicide rate in the world. I want my kids to enjoy their childhoods, to play outside and not be bludgeoned over the head with tons of homework or need to attend the de rigueur after school academies or study rooms. Yes it will be more expensive to play the sports they want to play and do the things they want to do but they’ll be all the more happier for it. Yes I am a little worried about how Soonim will adjust but she is a doer. She is running her own consulting business and teaches English to adults several hours a week. If she can make her own business idea work here I’m sure she can make another one work anywhere. Her family is amazing too and there is nothing in Colorado that will make up for them. As for me, I have reached a plateau here and although I love my job, there is nowhere to go from my position as an assistant professor. Instead of moonlighting and working various jobs, I want a career that will demand more of my skills, challenge and push me to my creative limit. That is where Instructional Design comes in as the next logical step from my position here as a teacher. This blog is about that journey and through various projects, MOOCs and e-learning challenges and I hope I can share some insights with you and inspire you to make a positive change within yourself. There’s no time like the present. Nine years ago I was lucky enough to have met an amazing woman and able to call her my girlfriend (my wife now), unaware of the importance of White Day in South Korea. Yes it’s a hallmark holiday much like Valentine’s but this was our first White Day as a couple. I didn’t realize that I had scheduled an emergency visa run to Japan because I had outstayed my visa here already when I was in India the month before (more on that in another post I promise). She never says it but she felt disappointed a) that I didn’t realize the importance and b) that we wouldn’t be able to spend it together. This year I’m surprising her with freesias (her favorite flowers, see photo above) and matching phone cases with our family portrait on them. 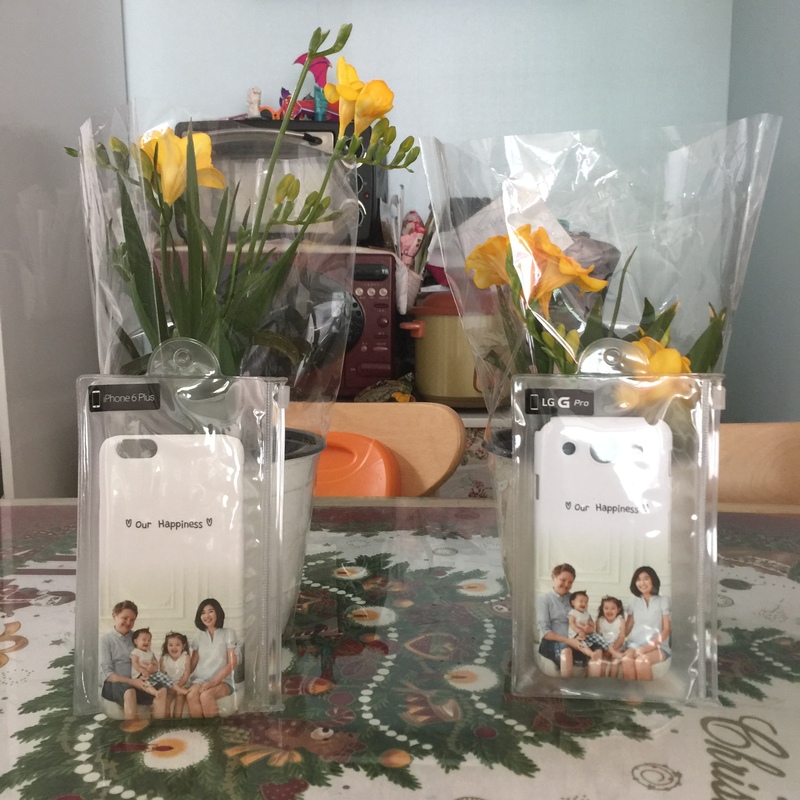 One of Soonim’s best friends Hye-Jung was able to help me order the cases (see below) and I really hope that the flowers and the cases make up for that lost White Day back in 2007. Soonim if you’re reading this, I love you dearly and hope that you had fun in Changwon! How well does your course make connections between learning objectives and course activities, and how do you implement formal and informal assessments of learning into your blended learning course? Do these all take place face-to-face, online, or in a combination? Learning objectives are some of the first concepts introduced and are constantly reinforced either by formative assessments or by assignments. Each module has a grammar target, vocabulary relevant to the topics and a list of abilities that the student should be able to perform after each chapter. Bloom’s taxonomy is generally the best choice for creating attainable learning targets and the online portion of the course addresses the learning targets from each module. The summative section of the course comes in the form of two face-to-face spoken exams with me either with a partner or a group as well as two written exams given for both midterm exams and finals. The spoken section allows the student to choose from a battery of questions (of varying complexity) and a test blueprint (rubric) from which students know exactly what is expected. The written exam is a test created by all the professors on staff and includes a multiple choice, listening, short-answer and essay question section. While I can create online quizzes (I do), we are given a very small portion of percentage to which we can assign points whereas the midterm and final exam sections account for 70 percent of the final grade which leaves a very small portion for attendance and participation (under which all online content falls). My Korean students are pretty tech-savvy and had very little difficulty logging in and adding content and participating. There is along way to go before Korean universities will begin running more blended courses as my course is a voluntary application of the blended model.